General surgery is the largest surgical subspecialty, and, as such, all junior trainees are expected to pass through general surgical placements during their rotations. 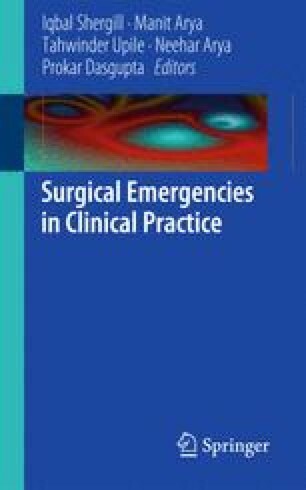 In addition, many general surgical emergencies manifest themselves in patients in other surgical specialties, as well as in medical wards and in the accident and emergency setting. Hence, general surgical conditions are extremely common, and dealt with by all trainees throughout their surgical training. Martin DJ, Vernon D, Toouli J. Surgical versus endoscopic treatment of bile duct stones. Cochrane Database Syst Rev. 2006;(2):CD003327. doi: 10.1002/14651858.CD003327.pub2. Sauerland S, Lefering R, Neugebauer EAM. Laparoscopic versus open surgery for suspected appendicitis. Cochrane Database Syst Rev. 2004;(4):CD001546. doi: 10.1002/14651858.CD001546.pub2.